Best Essential Oils For Your Skin! For the last three months are so I have been OBSESSED with essential oils! I have incorporated them into just about every aspect of my life. From my beauty routine to cleaning, to a quick fix for a headache. My box of oils has a solution to any problem I throw at it. 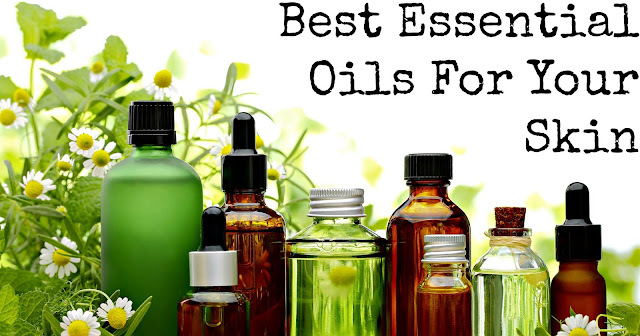 Today I am going to go over the essential oils I use in my beauty routine and the benefits they have. If I missed your favorite essential oil, let me know in the comments below! Frankincense oil is wonderful for all types of skin. It has antibacterial and anti-inflammatory benefits. These benefits make it best for acne-prone skin. You can also use it as a toner. It can reduce the appearance of pores and helps even the skin tone. It also helps encourage new cell growth. This will help tighten skin, reduce wrinkles and the appearance of scars. It also is wonderful for soothing chapped or dry skin. As if Lavender oil needs another reason to be absolutely amazing! Not only does it do wonders to help with anxiety and insomnia it is also amazing for the skin. It helps regenerate skin cells, reduces sun spots and scarring. Patchouli oil is a pretty recent addition to my collection but I have used it daily since I got it. It also promotes new cell growth and reduces wrinkles. It is also an antiseptic, antifungal and antibacterial. This means it helps with skin conditions like eczema, dermatitis, psoriasis and acne. Tea tree essential oil is one of the more popular oils for acne control. It is an antibacterial so it helps ward off acne-causing bacteria and assists wound healing. It also helps regulate oil production. Getting ready to explore the great outdoors? Check out THESE Hiking Poles from Montem!